I was asked by our fellow member of the Bar, Ng Thiam Lai, the husband of the late Tina Cheah, to write a word or two in memory of his beloved wife. In my grief, and not with an impassive mind, I hesitated but could not refuse as I can only imagine his grief and loss. I cannot proclaim that I knew Tina well or long enough, as our encounter and friendship seemed brief, but it was sufficient to leave a mark in my life for sure. The late Tina Cheah Yee Teen was born on 8 December 1974 in Ipoh, Perak and is the youngest child of (the late) Mr Cheah Kim Cheong @ Cha Lok Chang and Madam Mah Keng Chee who were both educators, serving at various government schools till their retirement. Tina and her elder sister grew up in Ipoh and had her elementary and secondary education in Tarcisian Convent School, Perak, and completed her STPM in 1993 at SMK Anderson with excellent grades, attaining 4A1B. Being an outstanding student, as she was in person, she gained entry into the prestigious law faculty at University of Malaya in 1994 and went on to achieve commendable results, attaining Second Class Honours. I was told that she was industrious and active during her time in university and possessed an amiable disposition at all times, traits that were evident in our brief time together. I could only listen to testimonies of her by her course-mates and her beloved husband as I was not a high achiever like herself and thus did not share varsity time together. Our meet and encounter, leaving a genuine friendship, was when we were reading in chambers in Ipoh. Tina underwent her pupillage with Senior Counsel Mr Lai Kok Cheow of K C Lai & Co., Ipoh in 1998. She was ahead of me in the number of months, was more familiar and well versed in Court and was ever so generous with her knowledge, know-how, and friendship. Tina would always make a newbie, or a stranger, anyone at all, feel comfortable, respected and at ease. Similarly, she accorded much respect to the Bench and fellow members of the Bar and never refused anyone seeking assistance. It was always a joy being around her. She was ever a delight till the day of her demise. Tina, having completed her time reading in chambers, was called to the Bar in 1999. It was indeed an achievement and a proud moment for her family, needless to say, her parents. 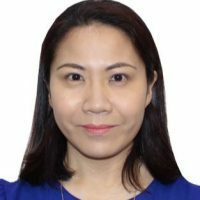 She continued to practise law in Ipoh with Joseph Tang & Tan, in both areas of litigation and conveyancing, but chose to pursue her legal career in Kuala Lumpur in the year 2000 and joined Cheah, Teh & Su. During our brief encounter and time together as young lawyers in Ipoh, memories of her interest in the law and its practice, lively discussions (at times fierce exchange of words! ), her enthusiasm and her industrious ways left such an impression on me. On a personal level, I had the privilege of knowing a fine person, very giving and forgiving, rarely refusing opportunity to assist without any expectation or demand for reciprocity. Indeed, a rare find. The late Tina married Ng Thiam Lai, whom she had been with for a considerable number of years, and was blessed with two beautiful children, Paige Ng, aged 13 and Mark Ng, aged 9. Both Tina and Ng Thiam Lai continued to practise law and were founding partners of Ng & Tina. Tina was of great help in the new practice, steering the firm towards steady growth which gradually saw one legal assistant and eight staff members. The firm has low turnover translating to the satisfaction of individuals working for Ng Thiam Lai and the late Tina. Having steered the firm into a steady direction, Tina made the wisest choice (in my humble opinion), to dedicate more of her time to her family, mostly her children. She chose to be with them, physically, intellectually and emotionally, in their growing years – but never truly lost touch or lagged behind in practice as she kept herself updated on the law practice standards and recent decisions. Typical of her, Tina kept her illness close to her chest, not wanting to trouble us while silently but valiantly battling her illness for a period of four years, together with her beloved husband, and at the same time still carrying out daily chores and responsibilities as much as possible. She did not change, even during the last few days of her life. She departed on 30 July 2018. The Bar has lost a dedicated Counsel and Solicitor and, to us, a true friend. Our thoughts and prayers are constantly with her beloved husband and young family – it is hoped that their memory of her strong personality, positive outlook, kindness and love will comfort them and assist them with coping without her in the years to come. We mourn her till this day and will, for a long time to come. She is truly missed. Rest well, and till we meet again.